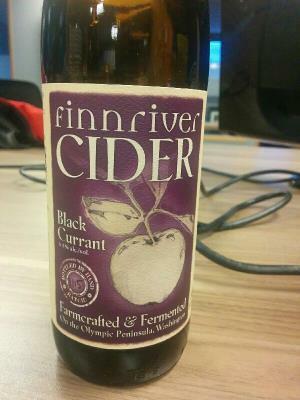 Cider with black currant, made with some organic ingredients. Sweet, and having rich fruit aroma. This is the cider changed everything for me. The balance between all the elements ... a hallmark of Finnriver ciders. Intense, lush fruit against a hint of acidity. very reminiscent of a lambic. nice currant flavor, sweet but not overwhelming. A wonderful cider with very strong flavor. One of my favorites to drink on its own. Not too sweet but fruity!